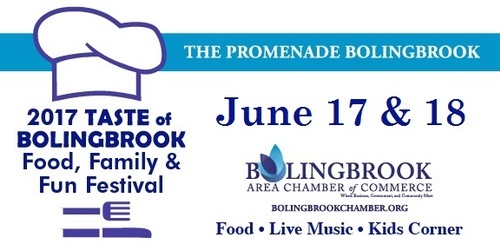 Bolingbrook's Taste of Bolingbrook will take place at the Promenade Bolingbrook. Restaurants, delicious food, live music, entertainment and a dedicated kid's zone are all a part of this year's Taste of Bolingbrook. Restaurants will charge for Small plates. Cost Varies.